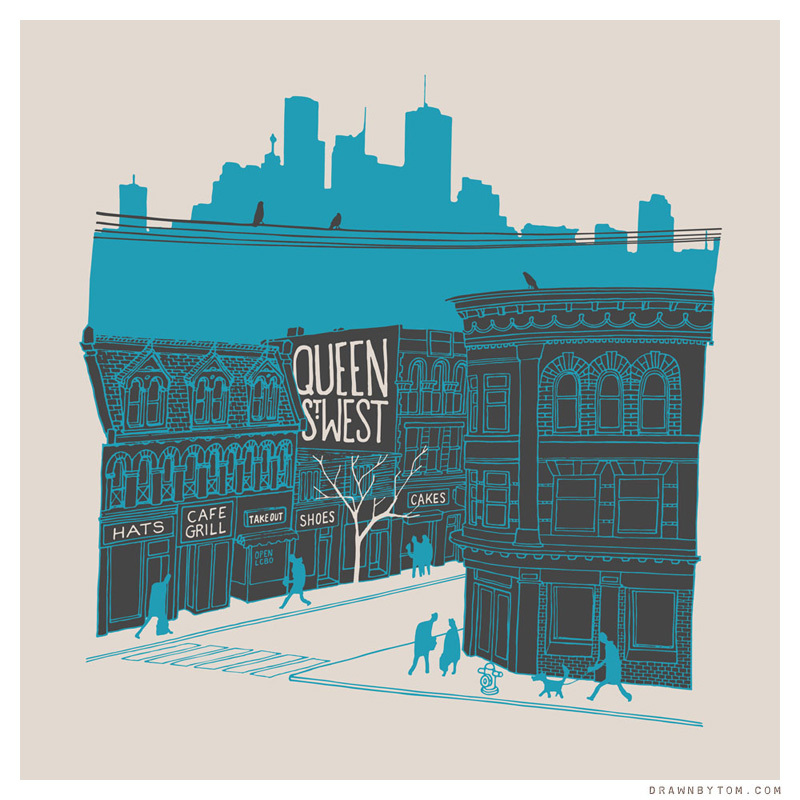 You can order Toronto neighbourhood prints online through my Etsy store. To order anything else, please send me a note via the contact page. Thanks! If you live in Toronto, you can also my find artwork for sale at Telegramme Prints -- where you will also get great advice on framing. Prod here for commissions. Illustrations, animations, New Yorker cartoons, and art prints. I am a human called Tom Chitty. Hello.